Many of the rides are climbs described in John Summerson’s book, The Complete Guide to Climbing (by Bike). When describing one of these climbs, I use Summerson’s distance and elevation gained. I also include (S-#) in the name to indicate that the ride is described in his book. The # shows the climb’s category given by Summerson (1, 2, HC=hors categorie). When I describe a climb, the distance is usually one-way, to the top. A wonderful, if isolated, climb. Summerson describes it as starting a couple of miles down the valley but the obvious starting point is where the road to Pomerelle Mountain Resort (Howell Canyon Road) leaves Hwy 77. There is a good parking area about 100 yards west of the turnoff. Done this way, it’s 11.3 miles long with 3,600 feet of climbing. Well worth doing if you are traveling along Interstate 84 between Salt Lake City and Boise. 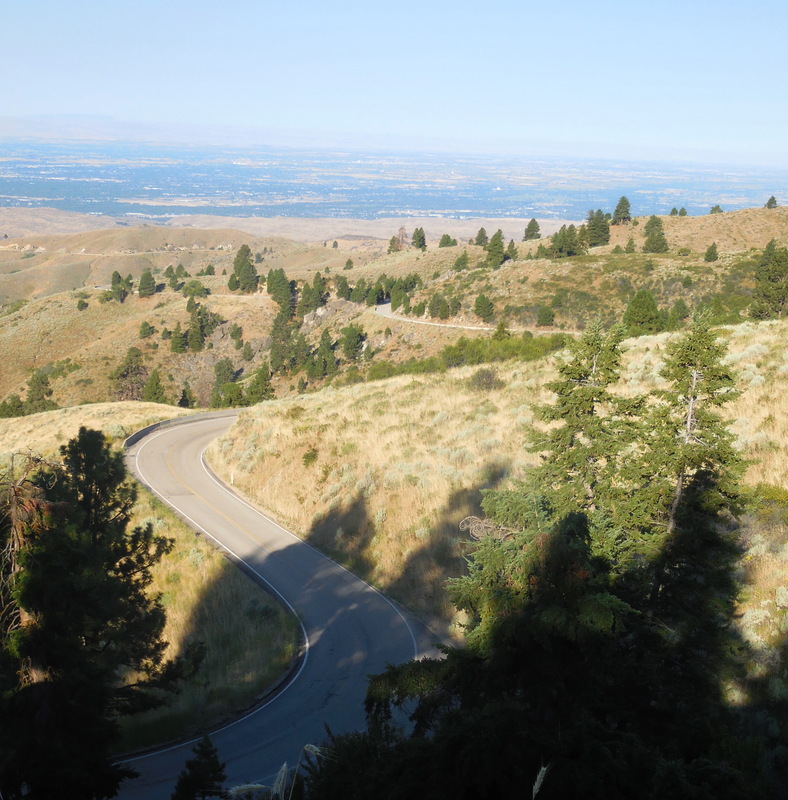 A lovely and popular climb out of Boise, it twists and turns its way uphill for about 15 miles with 3,226 feet of climbing. 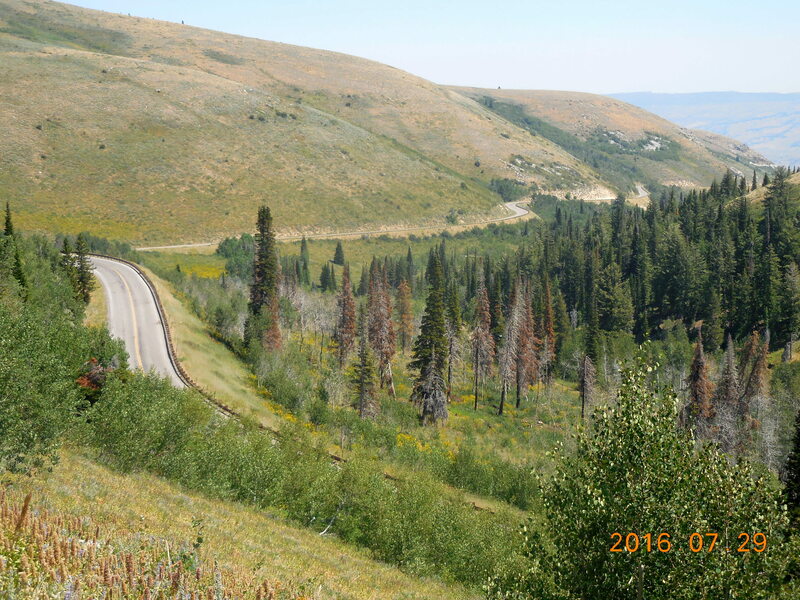 To start, drive up Bogus Basin Road past an unusual manicured hill on the left. At the stop sign, turn right on W. Curling Drive and park. Ride uphill (with a short descent after a couple of miles) to Bogus Basin. The last mile is almost flat with a downhill into the basin. If you are in Boise, say to ride Bogus Basin, the Boise River Greenbelt is a lovely 25 mile bike path through town along the river. For the most part you can ride on either side of the river and there are several bridges that connect the two sides. It’s fun to ride one way on one side and then ride back on the other side. You can download a pdf map.